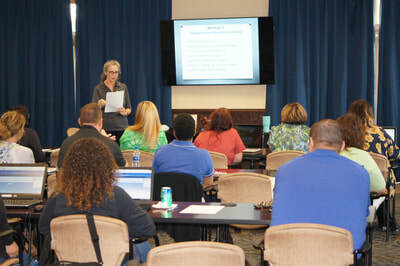 The Credit Union House of Oklahoma is the ideal venue for meetings, seminars and corporate training. 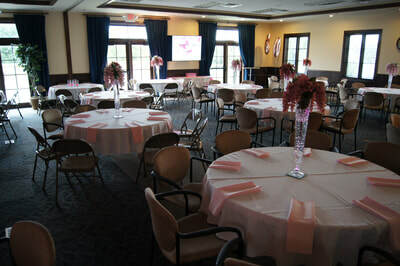 The venue is also a popular destination for weddings, banquets, luncheons, parties and a host of other special events. 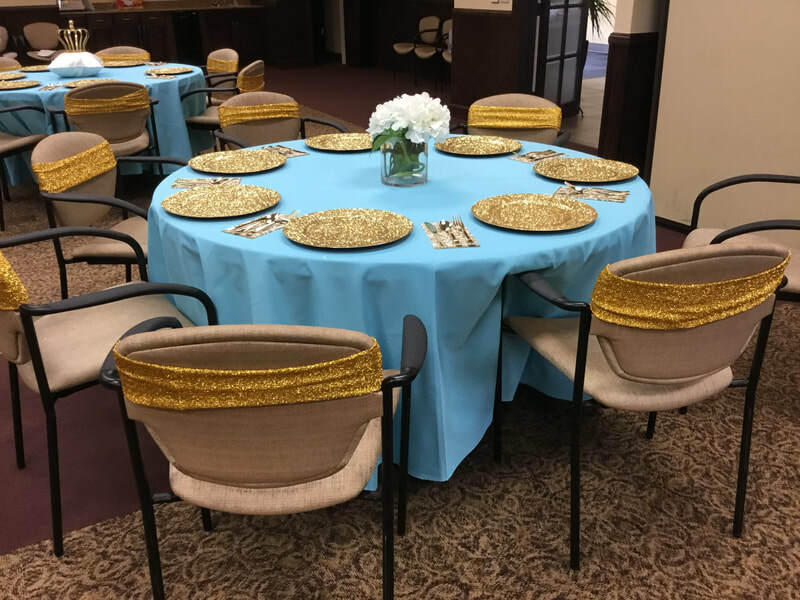 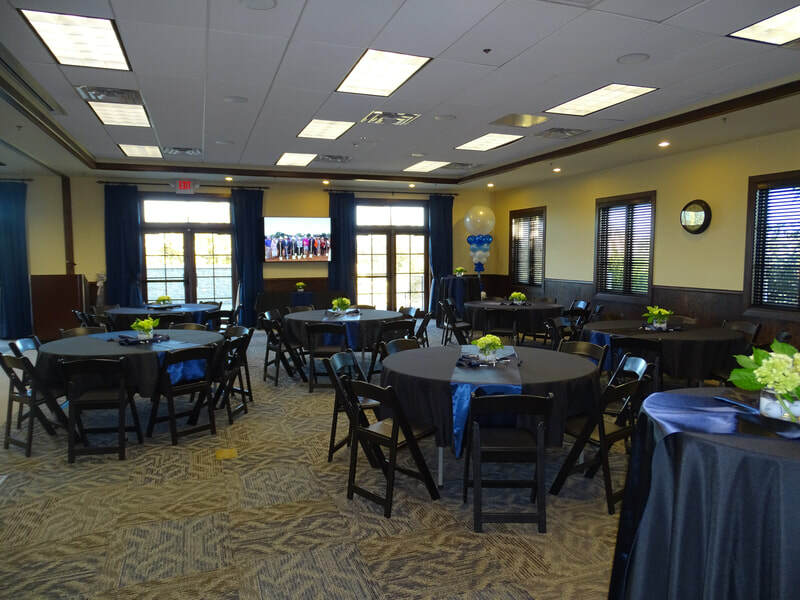 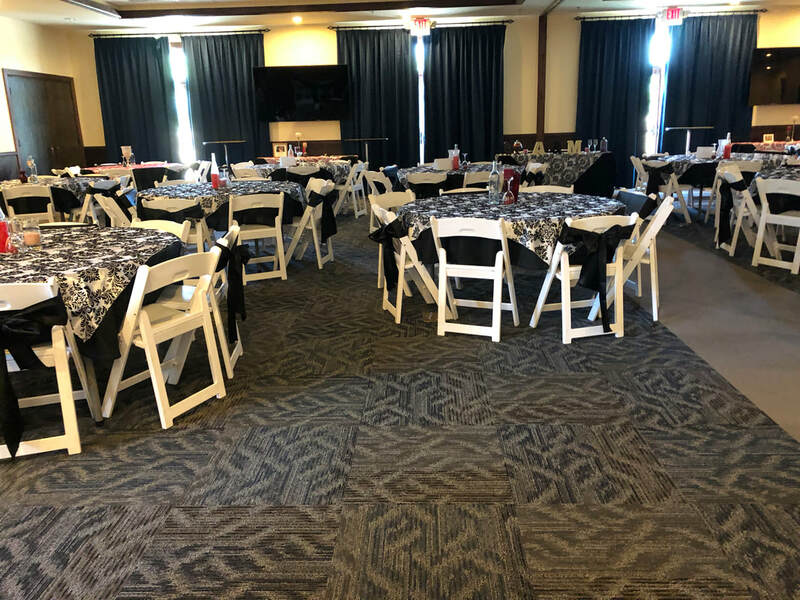 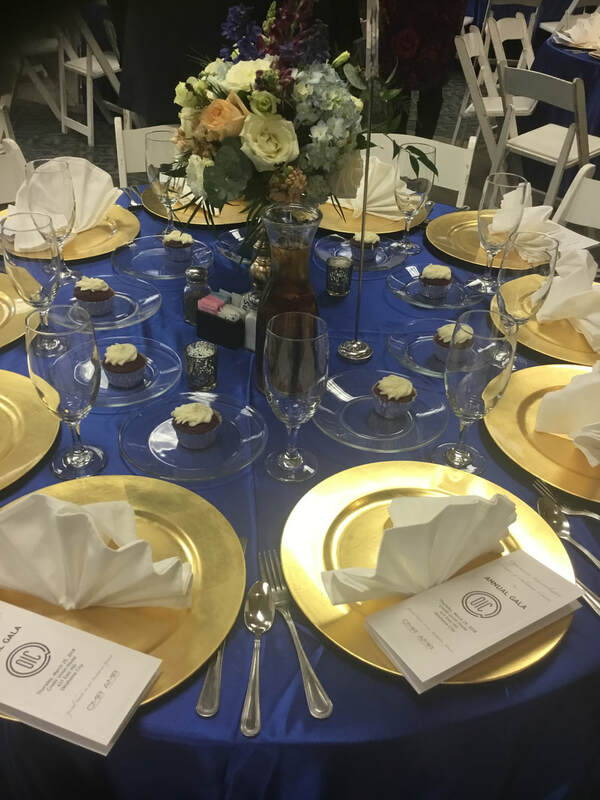 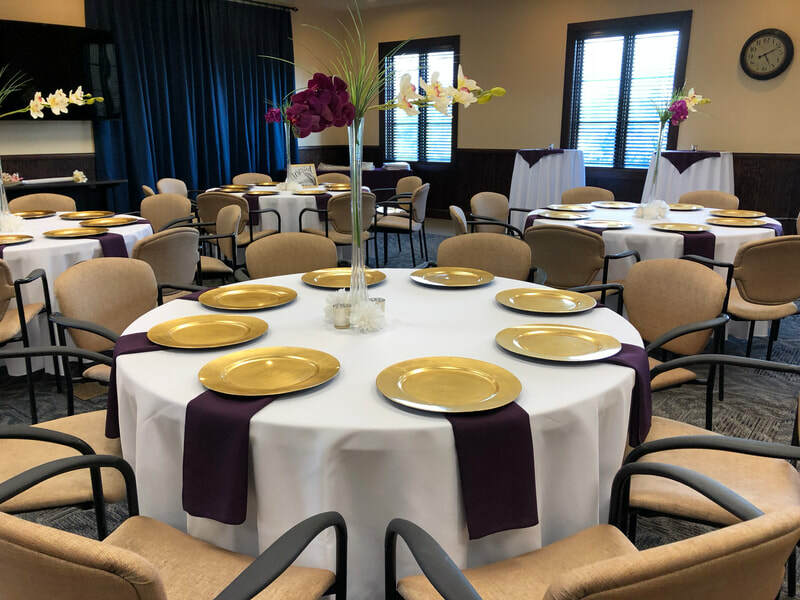 To accommodate your specific needs, the event room can be configured in a variety of ways. 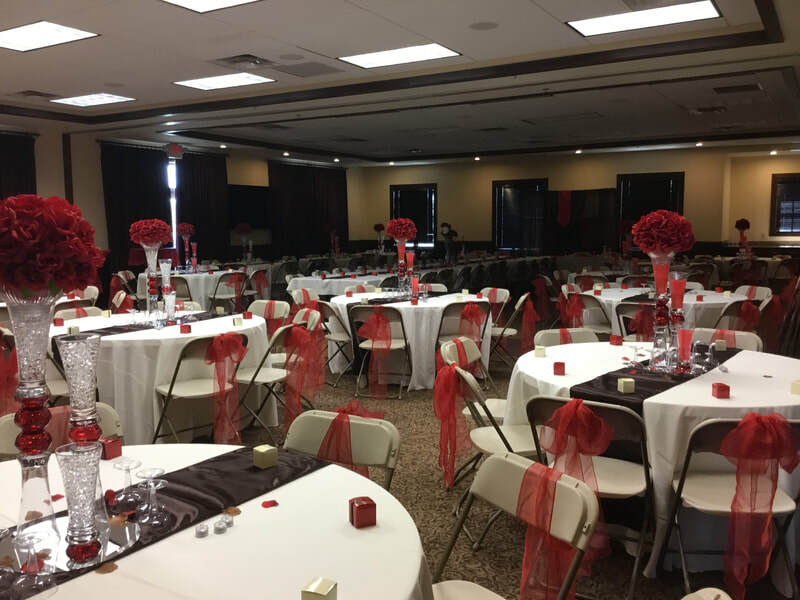 The full room can comfortably seat up to 175 guests. 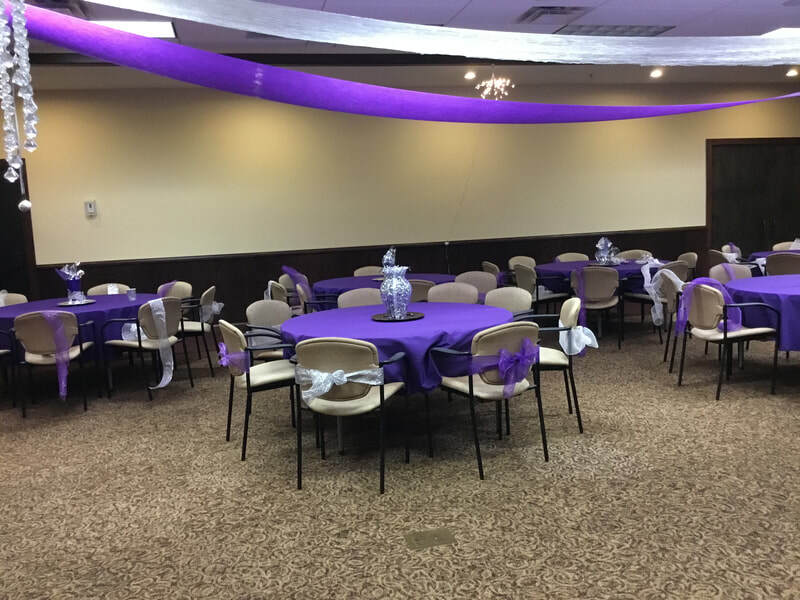 If your group is smaller, the room can be divided. 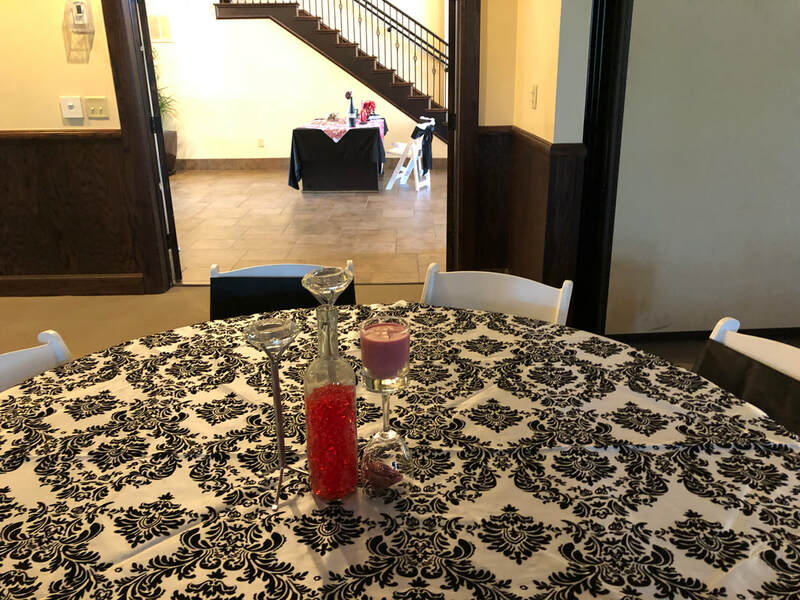 Room setup and audio system is included in price. 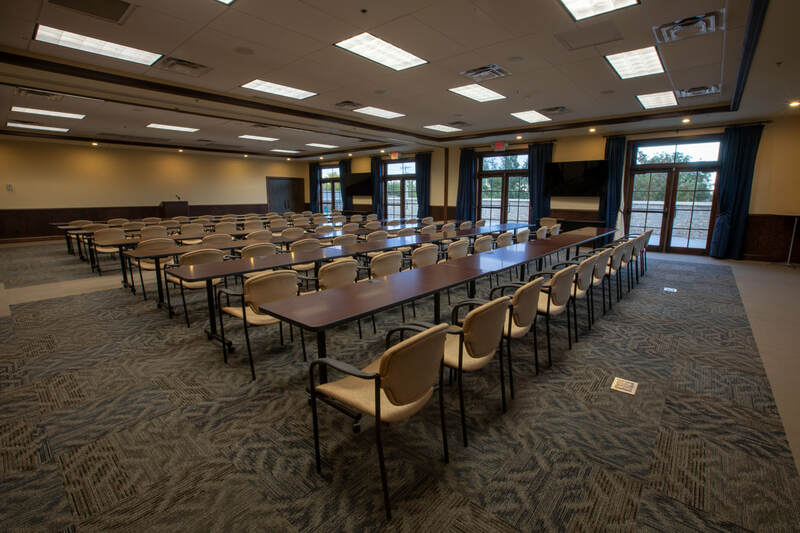 Each room has a projector and retractable screen, a flat-panel wall mounted CD television and laptops available for use. 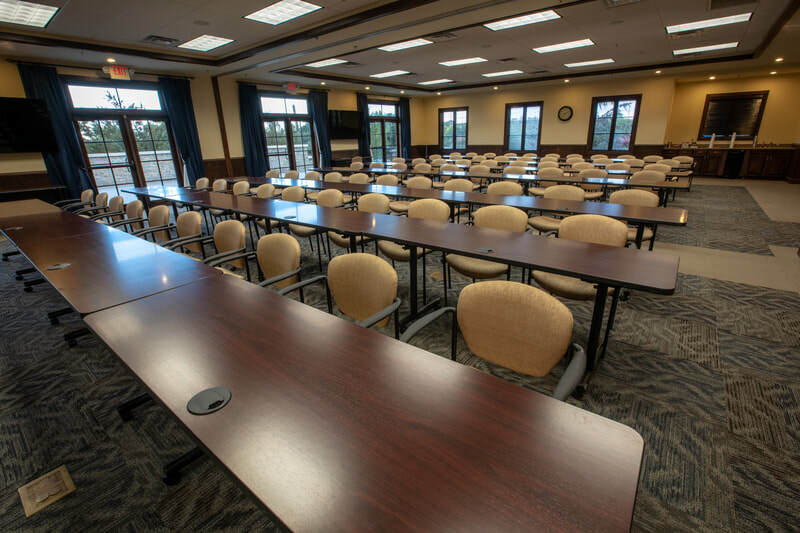 Equipped with complimentary internet access, the facility’s audio/visual equipment is perfect for displaying slideshows, videos and presentations. Our team is happy to work with you to decide which of the many room configurations is right for your event.